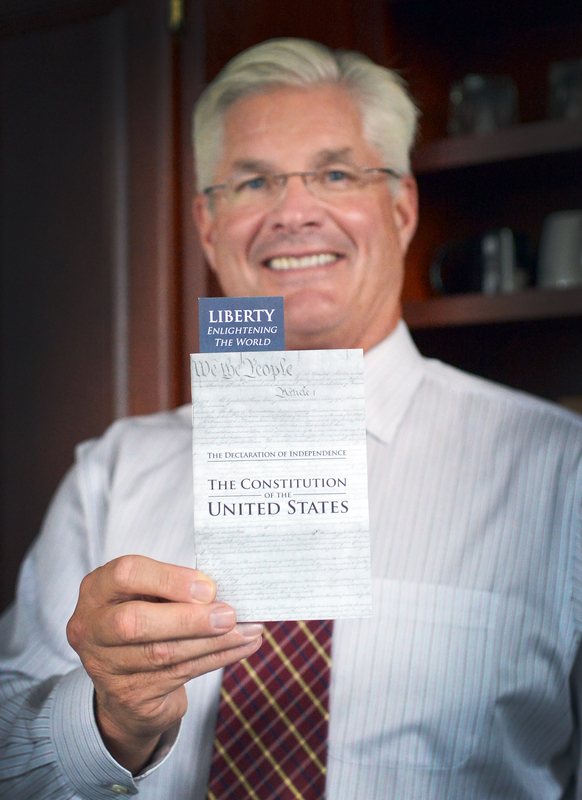 LANSING, Mich. — Sen. Mike Shirkey on Friday reminded residents of Branch, Hillsdale and Jackson counties that Sunday, Sept. 17 kicks off Constitution Week, a time to celebrate our founding principles and the document that established the United States. On Sept. 17, 1787, the delegates to the Constitutional Convention in Philadelphia signed the U.S. Constitution, which is the longest standing written constitution still in existence. Each year on Sept. 17, America celebrates the signing of the Constitution as part of Constitution Week, which runs from Sept. 17 through Sept. 23. You can easily order a copy of the U.S. Constitution or Michigan Constitution from Shirkey’s office. Call 517-373-5932 or email MikeShirkey@senate.mi.gov. Note: For a print-quality version of this photo or others, click the image or select Photowire at right.